8 Fairfield is located on the east side of Fairfield, between Beacon and Marlborough, with 347 Beacon to the north, across Alley 417, and 10 Fairfield to the south. 8 Fairfield was designed by Sturgis and Brigham, architects, and built in 1879-1880 by Weston & Shepard, builders, one of two contiguous houses (8-10 Fairfield) designed as a symmetrical pair with stepped (curvilinear) Dutch-style gables. Henry Lee Higginson, an investment banker, is shown as the owner on the original building permit application, dated November 12, 1879; he did not own the land on which the houses were built and it is unclear why he is shown as the owner on the permit application. Click here for an index to the deeds for 8 Fairfield and for a plan of the original land. On December 3, 1880, 8 Fairfield was purchased from John L. Gardner by James Jackson. 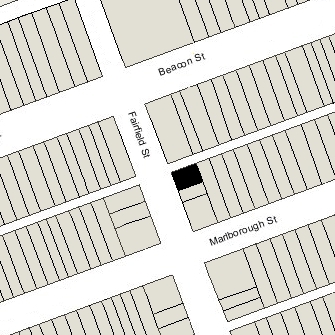 In the deed, John Gardner also provided an easement for a ten foot strip of land behind 10 Fairfield (which he still owned) connecting with the comparable strip behind 12 Fairfield, to give 8 Fairfield access to Marlborough Street. James Jackson and his wife, Rebecca Nelson (Borland) Jackson, made 8 Fairfield their home. They previously had lived at 302 Berkeley with his mother, Sarah A. (Boott) Jackson, the widow of Francis Henry Jackson. James Jackson was a stockbroker with the investment banking firm Lee, Higginson & Co. (Henry Lee Higginson’s firm). He previously had been a real estate and mortgage broker in partnership with his father (who died in July of 1873). Rebecca Nelson (Borland) Jackson’s sister, Julia, was the wife of Francis Lee Higginson, Henry Lee Higginson’s brother and business partner. James Jackson died in April of 1900. 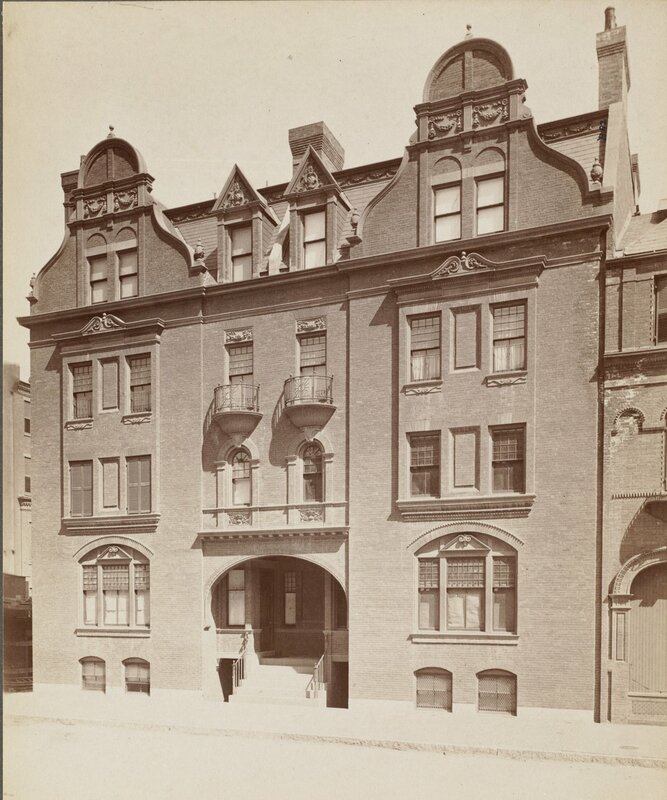 During the 1900-1901 winter season, Rebecca Jackson lived elsewhere and 8 Fairfield was the home of Richard Codman, whose daughter, Lucy, was married to Rebecca Jackson’s brother, William Gibson Borland. Richard Codman was an interior decorator. He was a recent widower, his wife, Susan Williams (Sargent) Codman, having died in October of 1898. 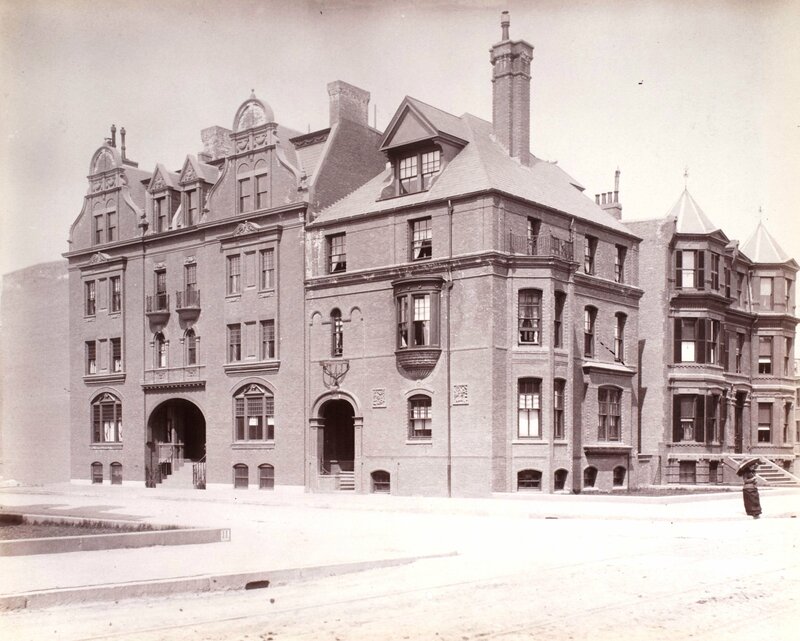 By the 1901-1902 winter season, Richard Codman had moved and Rebecca Jackson resumed living at 8 Fairfield. She also maintained a home in Bar Harbor. 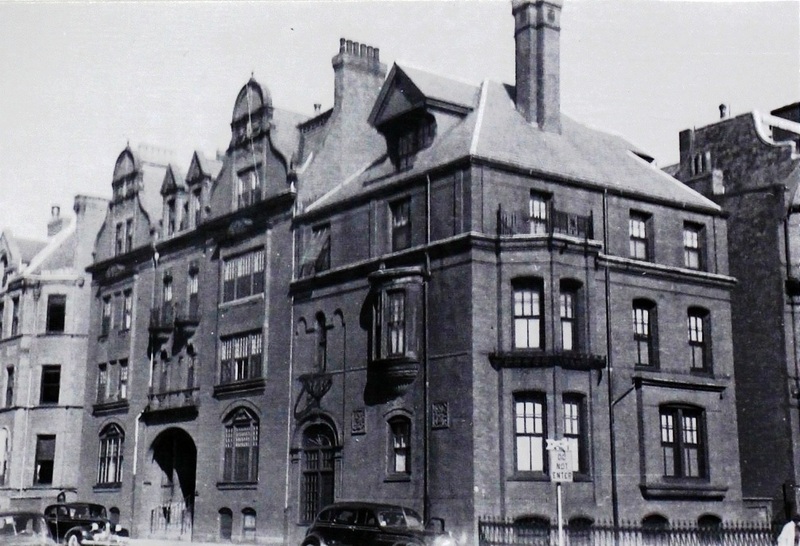 She continued to live at 8 Fairfield until the mid-1930s, but during the 1933-1934 and 1934-1935 season, she spent the winter season at the Hotel Victoria at 273 Dartmouth and the summer in Bar Harbor. On March 6, 1936, 8 Fairfield was purchased from the Jackson family by real estate dealer John Hamilton Morse, and on March 31, 1936, it was acquired from him by Mary Ironside (Hammond) Taylor, the wife of William Davis Taylor. They previously had lived in an apartment at 276 Marlborough. William Davis Taylor was treasurer of the Boston Globe. The newspaper had been acquired by his grandfather, Charles Henry Taylor, in 1873 (one year after it was founded), and William Davis Taylor’s father, William Osgood Taylor, was the publisher. William Davis Taylor succeeded his father as publisher after his death in 1954. He remained in that position until his retirement in 1978. On April 8, 1937, Mary Taylor transferred 8 Fairfield into joint tenancy with her husband, and on February 28, 1941, they transferred the property into a trust, with Francis T. Leahy as trustee. Mary Taylor died in May of 1947. William Davis Taylor married again, in November of 1947, to Ann Caroline Macy, and they moved to 133 Mt. Vernon. On October 30, 1947, 8 Fairfield was purchased from Francis Leahy, trustee, and William Taylor by real estate dealer Howard Stephen Cosgrove. In November of 1947, he applied for (and subsequently received) permission to convert the property from a single-family dwelling into five apartments. On April 21, 1949, 8 Fairfield was purchased from Howard Cosgrove by Edward S. Lebowich. On April 2. 1951, 8 Fairfield was purchased from Edward Lebowich by Dr. Julia G. Arrowood, a physician and chief of anesthesia services at Massachusetts General Hospital. She lived in one of the apartments. In August of 1953, she married Charles J. Mason, an insurance underwriter. After their marriage, they lived at 8 Fairfield until about 1955, when they moved to Brookline. On April 1, 1955, 8 Fairfield was purchased from Julia (Arrowood) Mason by Melvin J. Dangel, an attorney, and his wife, Phyllis (Coley) Dangel, trustees of the Coley Trust. They lived in Newton. Melvin Dangel died in April of 1976. 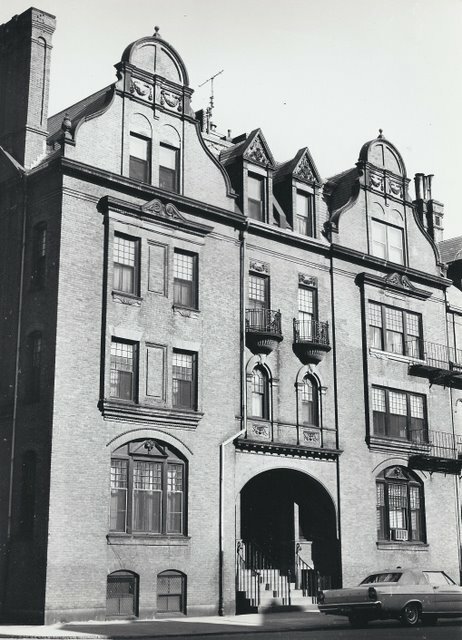 On March 1, 1977, 8 Fairfield was purchased from Phyllis C. Dangel, individually and as trustee of the Coley Trust, by Elizabeth E. Laing and Evelyn Houston, trustees of the 8 Fairfield Street Realty Trust. Elizabeth Laing, an attorney, died in May of 2000. 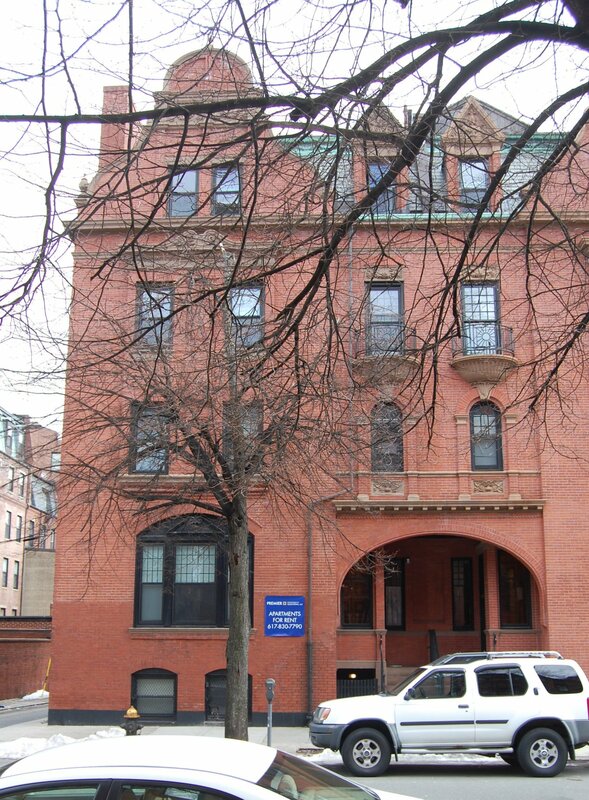 On May 10, 2006, 8 Fairfield was purchased from Evelyn Houston, surviving trustee of the 8 Fairfield Street Realty Trust, by the Fairfield Trust Properties, LLC (Simcha J. Weller, manager of record). 8 Fairfield remained an apartment house, assessed as a four-to-six family dwelling, in 2015.